Does anyone know how many light bulbs were damaged by Hurricane Maria? Moreover, how many of those light bulbs went into the trash? A light bulb, a seemingly innocuous little thing, and yet, according to stopwaste.org, "compact fluorescent bulbs, high intensity discharge bulbs (HID), and light emitting diode (LED) bulbs contain hazardous materials and should never be put in the trash." Having lived in environmentally conscious places, I took it for granted that the downed power lines in Puerto Rico after Hurricane Maria would be ecologically disposed of or recycled. I can't tell you what the official stance is. I don't know what the local and aiding outside electrical workers are supposed to do be doing with the old lines. I do know that I'm seeing piles of wires thrown down hills on the side of the road, or cast off at the end of streets with no outlets. The municipalities in Puerto Rico (at least on the east coast where I live) have been working non-stop for the last six months, collecting the destroyed couches and beds, trash, and piles of debris. Everything was being piled into the baseball stadiums, and metals were sorted out before the refuse was taken to the landfills. I hope, but am not optimistic that the wires and appliances and electronics were also sorted out. As a small island, we have very little land, and way too many landfills. 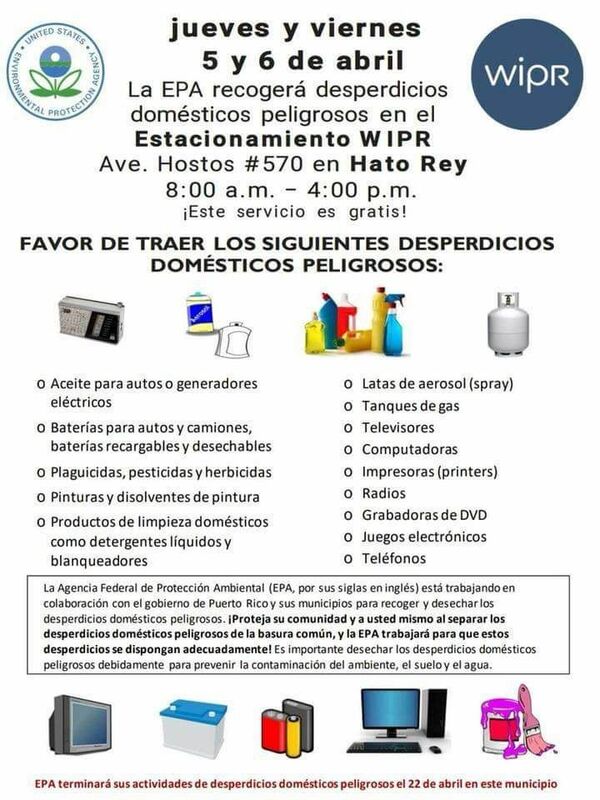 Please help us spread the word to the residents of Puerto Rico that this recycling event is taking place. It is the responsibility of all of us to protect our environment.